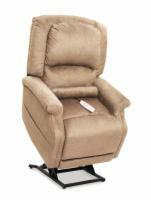 The PR-501M-26D by Golden Technologies is a 3-position lift chair with many exciting features to offer. Operating on dual motors, you can count on the additional lifting power the PR-501M-26d has to offer. The PR-501M-26D comes standard with arm and head covers and improved filler seam backing for supreme comfort and long lasting durability. 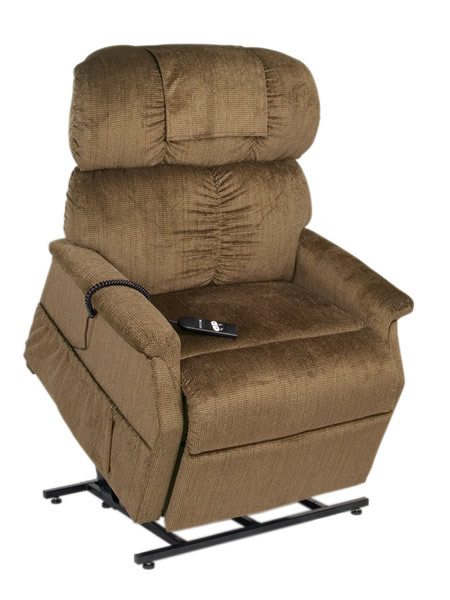 Several exciting features you'll find in the PR-501M-26D lift chair include improved filler seam back cushioning, and an integrated battery backup on the lifting mechanism in case of a power outage. Piggytails from Houston, Texas would recommend this to a friend. Mature Adult who loves to read. Better quality than the first chair I bought, it's a better built and better fit then the last one. I'm very pleased so far, service was great and the chair suits me so much. 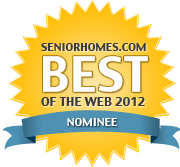 Sharon aka Dear Abby from Cortland, NY would recommend this to a friend. I am handicapped and also sleep in my Golden liftchair. Tina, the Nurse from Kansas would recommend this to a friend. Works Smoothly. Touchable Fabric. Sturdy. Comfortable. Comfortable and just the right fit for my sister, who is recovering from an illness and needed help getting out of her chair. I would buy this chair again. Crazy lady. from Chicago Area would recommend this to a friend. I had a double knee replacement. This lift recliner made it a lot easier getting up in the early stages of recovery.